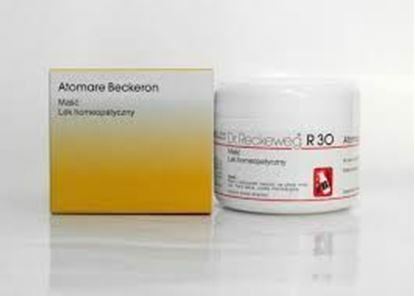 Properties FormOintment Weight130 (gms) Dimensions6.8 (cm) x 6.8 (cm) x 6.2 (cm) Indications of Dr. Reckeweg R30 An ointment for the rheumatism of muscles and joints, neuralgias and sciatica. Degenerative processes of the intervertebral discs, osteoarthritis, amputation neuralgias. Paralysis due to stroke, facial paralysis, osteochondritis. Contusions, aching of muscles, sprains. Boils and carbuncles.Do not apply ointment to face except incase of facial paralysis. 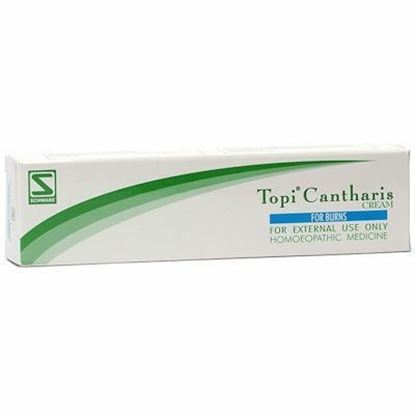 Properties FormOintment Weight37 (gms) Dimensions13.5 (cm) x 2.4 (cm) x 3.5 (cm) Direction of use of Topi Cantharis Cream Dosage: Unless otherwise prescribed, Topi Cantharis should be applied as follows: The cream should be used 2 – 3 times daily by applying a thin layer to the affected areas. The cream should not be applied over a large area of skin. Contact with mucous membranes, eyes and open wounds should be avoided. Side effects: In rare cases, applying of the cream might cause allergic skin reactions. Patients with renal problems may complain of increased frequency of urination. Gastric irritation has been reported in a few cases after continuous use. 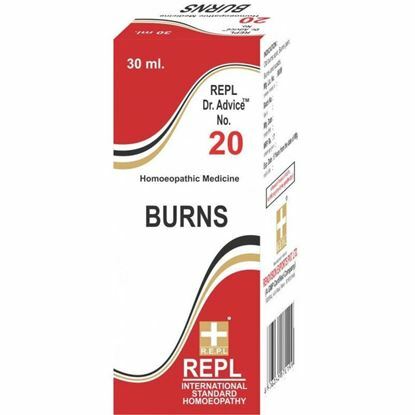 Contra-indications: Do not use this product on mucous membranes, on open wounds and around the eyes. It should not be applied to large open wound or surfaces because of the risk of absorption. Interactions: No interactions between Topi Cantharis and other products are known. Terms and Conditions We have assumed that you have consulted a physician before purchasing this medicine and are not self medicating. Properties FormSpray Weight120 (gms) Dimensions3.9 (cm) x 3.9 (cm) x 15.2 (cm) About Sept Aid Spray Bakson's Sept aid, a local antiseptic wash is a pump-action spray that helps remove dirt and grime from cuts and wounds and promotes healthy granulation with rapid healing through antiseptic as well as anti-inflammatory action of its natural ingredients especially Calendula and Echinacea. 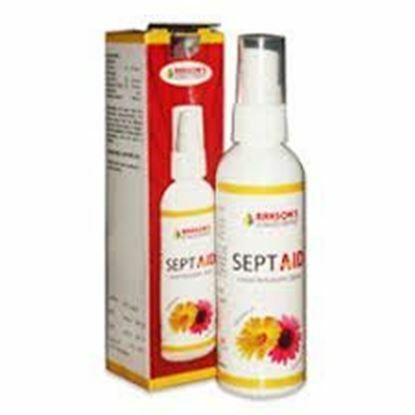 It is highly effective for healing: Minor cuts and scrapes. Burns and stings. Superficial eruptions with pus formation. Shallow ulcers on skin.